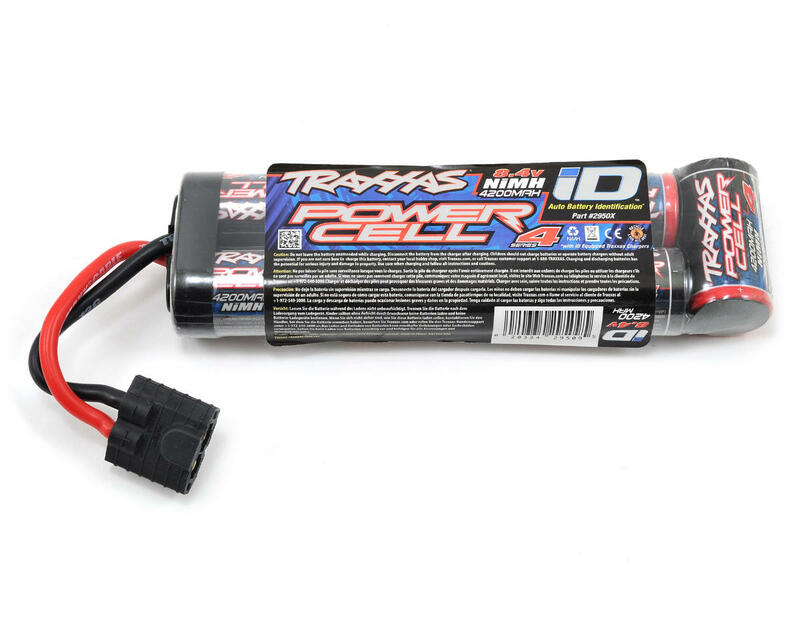 This is the Traxxas "Series 4" 7-Cell Stick NiMH Battery Pack with a Traxxas iD Connector. 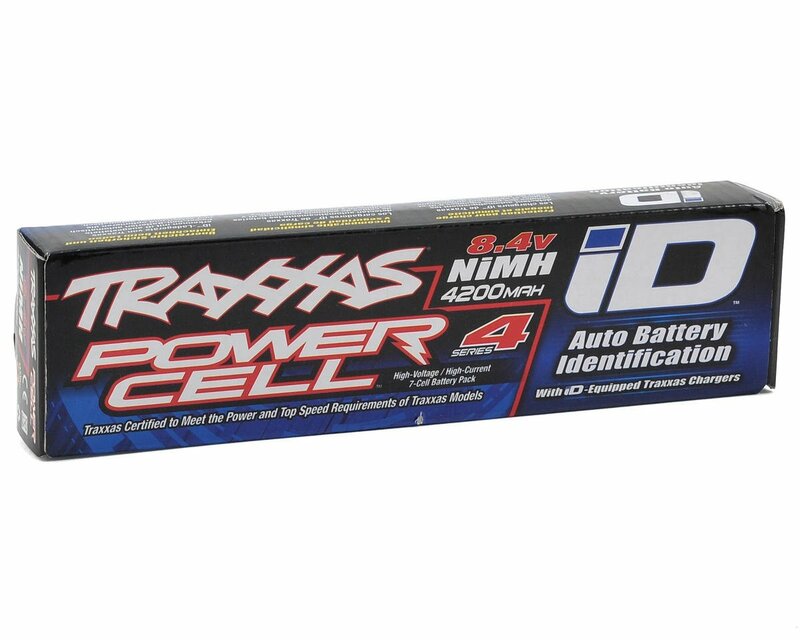 Traxxas iD Power Cell NiMH batteries are available in standard, 6-cell "flat" configuration, as well as 7-cell flat and "hump"-style packs to fit all Traxxas models. NiMH batteries are the standard battery type for radio control, and iD-equipped Power Cell NiMH packs are included with Traxxas electric models for excellent runtime and power delivery. Traxxas Power Cell Series 4 and 5 NiMH batteries offer increased capacity for even greater runtime and higher sustained voltage under load.